I don’t know whether to classify this comfort food recipe as a casserole or side dish. It’s hearty enough to be a meal on its own. Think potatoes smothered in ranch sauce and loaded up with crispy bacon, caramelized onions and melted Swiss cheese. Consider it whatever you like. It will be darn good no matter what! The extra prep work required is well worth it. The potatoes are fully cooked on the stove before you put them in the oven. This way you’ll know they’ll be soft and tender. No crunchy potatoes allowed. I also cooked the bacon and onion together on the stove and had to hold myself back from eating it right out of the pan. I often use bacon and onion together in recipes. It’s the start of how I make my very favourite frittata recipe. If you aren’t fond of ranch dressing, feel free to switch out for another kind. Same goes for the Swiss cheese. Mozzarella would work nicely here too. Casseroles aren’t the easiest to photograph, but I hope I could convey to you just how yummy this recipe is. It will be making regular appearances on my family’s meal plan. Everyone devoured the last batch in one sitting. Sadly, there were no leftovers. 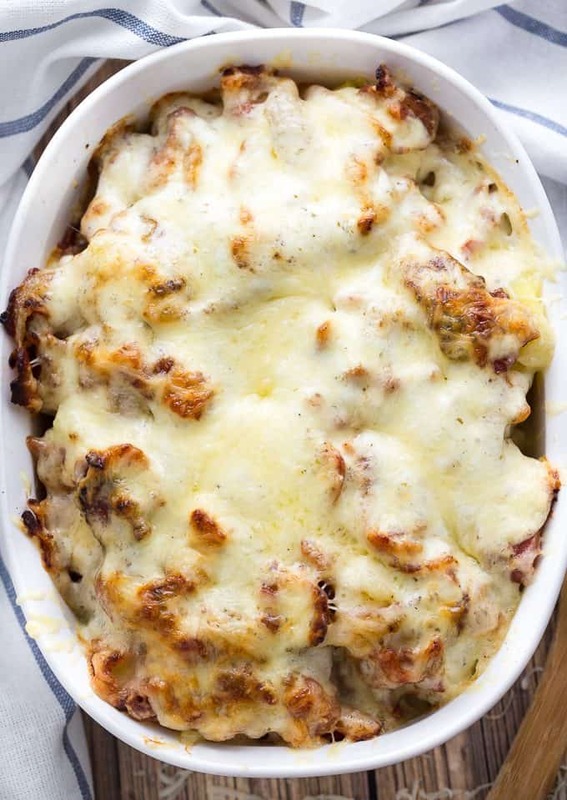 For more potato recipes, check out my Mashed Potato Casserole, Bacon and Potato Quiche, Rosemary Garlic Mashed Potatoes, Easy Cheesy Potatoes and Loaded Baked Potato Soup. I’d love to hear whether you’d serve this recipe as a side dish or a meal on its own! 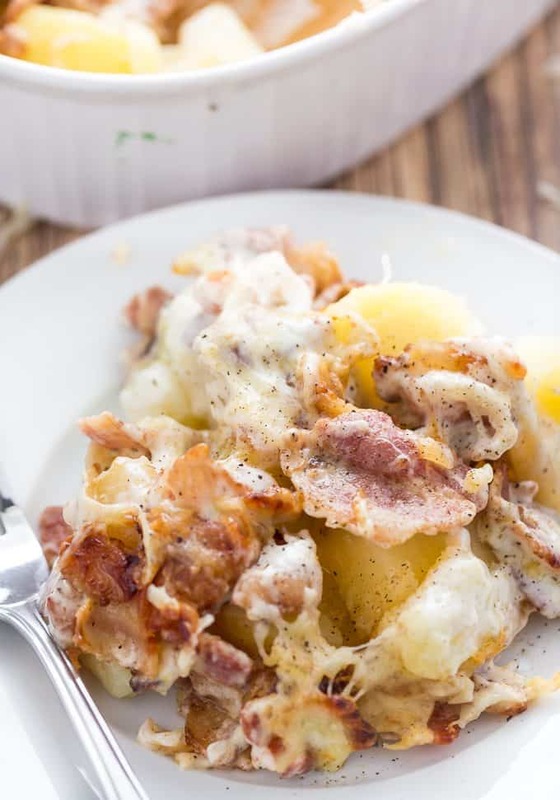 Soft, tender potatoes smothered in ranch sauce and loaded up with crispy bacon, caramelized onions and melted Swiss cheese. 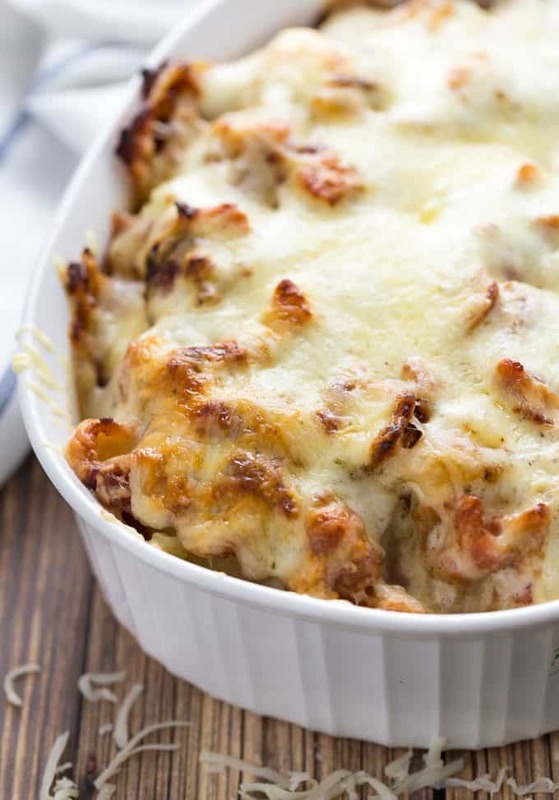 This comfort food recipe is a keeper! Boil potatoes for 20 minutes. Drain and set aside to cool. While the potatoes are cooking, add bacon and onion to a hot skillet over medium heat. Cook for 10 to 12 minutes or until bacon is cooked and onions are softened and starting to caramelize. Remove from heat. Preheat oven to 325F. Spray a 1.8L (about 2 quarts) casserole dish with cooking spray. Spread potatoes in the casserole dish to cover the bottom. Top evenly with onion and bacon mixture. Pour ranch dressing evenly over top and then sprinkle with Swiss cheese. Bake for about 22 to 25 minutes or until cheese is melted and starting to brown. Serve hot. I used a Corningware 1.8L oval casserole dish. If you don’t have one, use a similar size dish – about 2 quarts. It won’t matter if it’s not exact. I bet the ranch seasoning would add a nice flavour to the potatoes. I am definitely going to have to give these a try, will just have to switch out the swiss cheese for another cheese for our liking. These potatoes look very, very tasty. These look so yummy, I might have to try them. These sound delicious. Thanks for sharing. I will be preparing this on the weekend, I’m sure it will be a hit! This looks good my hubby would love it!! These look so good – can’t wait to make them! I need a comfort food right about now. I think this might be the perfect recipe for a broken heart. You might not know what to call it. I’m going to call it DINNER! I really love your Bacon Ranch Potatoes recipe. It looks so easy to make and so delicious. I am going to make this recipe for dinner! Oh my! My new vafavorte side!!! This looks amazing…and so easy! Wow, I can’t wait to try out your special recipe for this Bacon Ranch Potatoes. I think it just looks delicious, and I hope to do as good as you did in your great photos. what a comfort food! very satisfying! Wow sounds delicious! I need to try this! 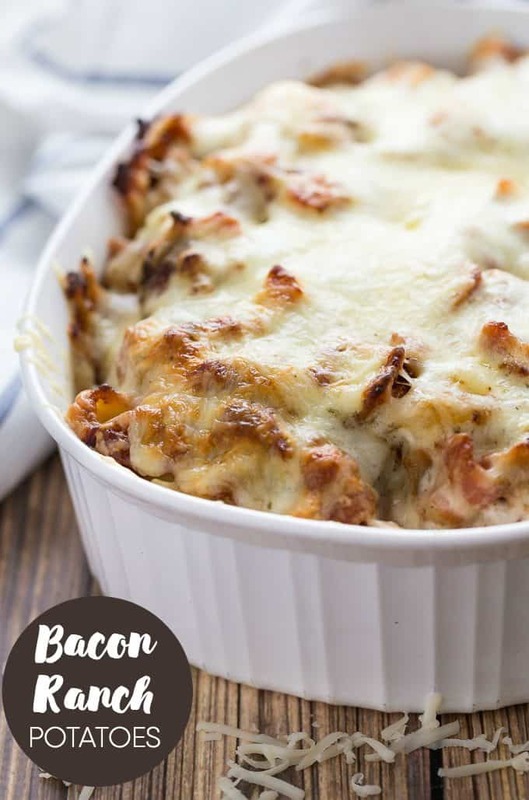 Wow, this bacon/potatoes recipe looks awesome. Pinning this. This dish makes me smile! Can’t wait to try it! 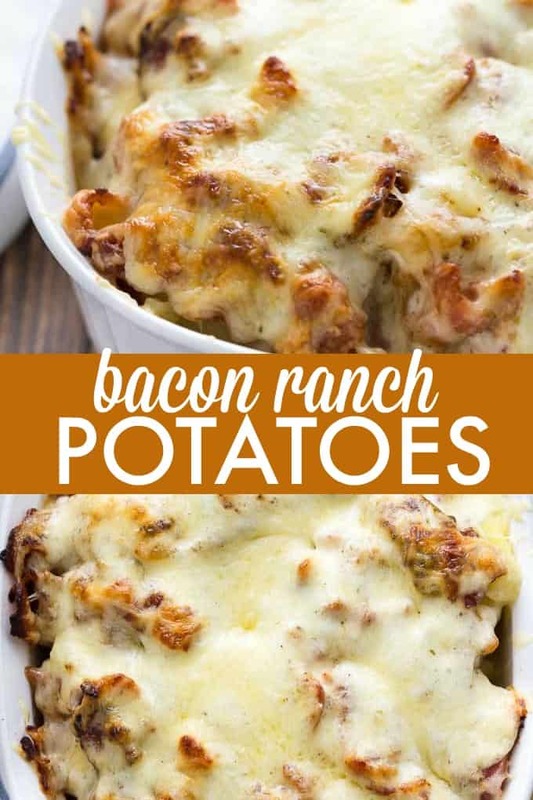 My husband is a ranch fanatic- he will love these! This would be a great side dish at a big family dinner! This dish will be amazing, I just love the flavor combination! Thanks so much for sharing with us at Full Plate Thursday and have a great weekend! Look at all that goodness! Amazing. YUM…this made my mouth water. I have printed out the recipe and this is on my list to try – THX!! Bacon, ranch, cheese, and potatoes? Is there anything better? This recipe looks so delicious. 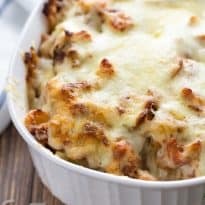 I have a similar recipe but I like how you use Swiss cheese instead of cheddar. I’ll be trying this soon.